Over the weekend I was in Nashville for the Whiskey in a Teacup book tour. I have been excited to read this book since I first heard Reese Witherspoon was writing a book and when I heard about the tour I knew I wanted in. One thing I am trying to get more comfortable with is not being afraid to do things I really want to do by myself. So as much as I love seeing everyone else's mother / daughter or girls night out experiences the truth of the matter is the $423 I spent on the VIP Ticket is a lot of money so I could not find anyone is my circle who was willing to make that spend but I decided to make the best of it and attend anyway. 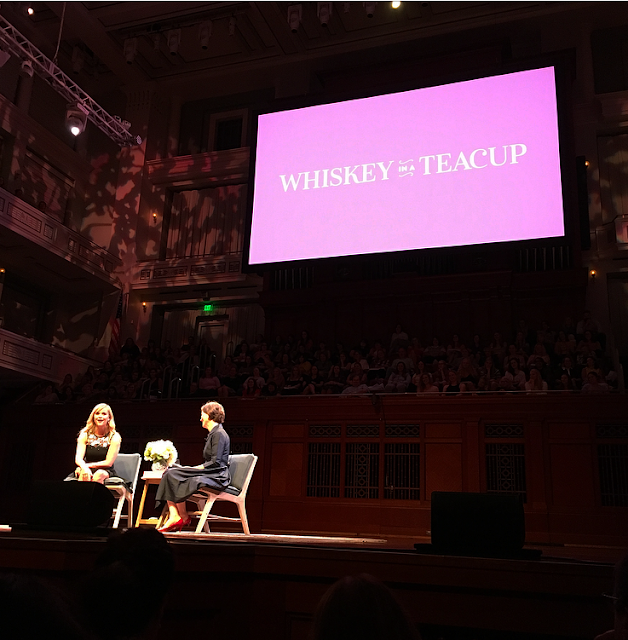 The VIP Ticket included a meet and greet with Reese Witherspoon including a photo, a signed copy of Whiskey in a Teacup, a Draper James tote filled with Reese Witherspoon's favorite products and orchestra seating at the very front for the talk. The talk was scheduled for 7:30pm and my instructions had me arrive at 6pm for the 6:15pm meet and greet. Upon arriving at the beautiful Schermerhorn Symphony center I was guided to the meet and greet area and given the super cute VIP Badge. In the meet in greet area the crowd was lined up for our pictures; I think Reese experiences some traffic issues because she did not arrive until a little after 7pm. The lined moved very quickly and bags were taken when everyone was about 5 people back in the line so that we could quickly walk up, meet Reese and have our photo taken. Reese had an assistant ask everyone their names and introduce all of us which I thought to be a very nice touch. When I walked up Reese immediately complimented my outfit and I thanked her for making it in my size (see my post on Draper James size 12 to 26 for Fall ). The meeting and greet was super fast and then purses were returned and we were given our tote bags and a complimentary cocktail from Woodford Reserve. As I was getting my cocktail the chimes were playing for everyone to take their seat so I quickly made my way downstairs for my 3rd row seat. Reese came onto stage with moderator Ann Patchett and these spent an hour in q and a format discussing everything from Nashville to Hollywood. Reese is very down to earth in her mannerisms and speech so it was like sitting with a giant group of girlfriends to be perfectly honest. Reese shared funny stories from her childhood but she also shared a lot about female empowerment and talked about the lack of female centered films and the exclusion of females from investing discussions. I guess celebrities really are just like us y'all and face the same issues we all face. 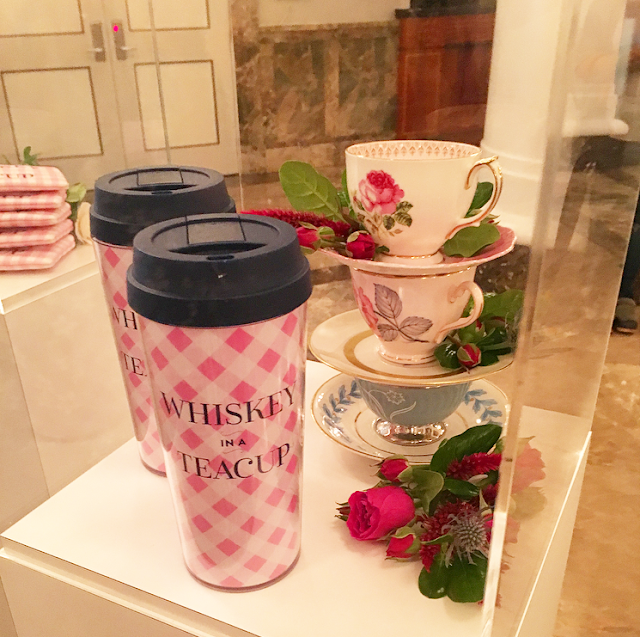 After the talk I headed over to the Draper James pop up to check out the Whiskey in a Teacup merchandise and I purchased the clutch, t-shirt and sweatshirt . . . because I don't have enough of a Draper James obsession. I am wearing the XXL in the sweatshirt. There is also a set of enamel pins, coasters and a tumbler on the website. 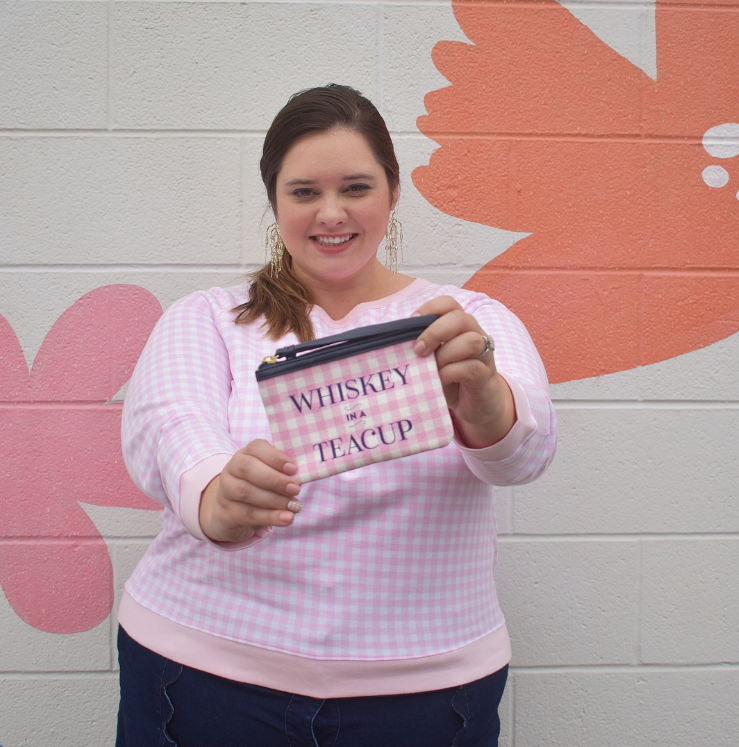 I really did like the tumble but a girl has got to draw the line somewhere . . .plus I probably shouldn't a use a tumbler that says Whiskey on it at work. 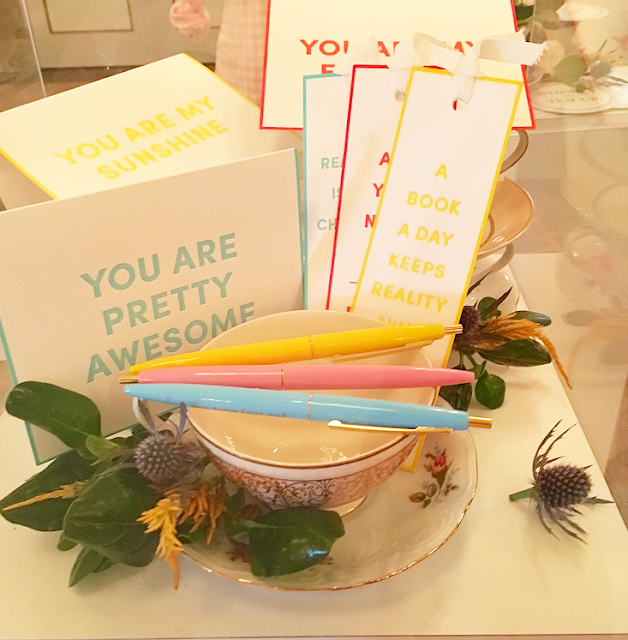 Since I shopped the pop up I did not stop by Draper James this visit but I did visit a restaurant Reese recommended - The Picnic Café. The food was really good, the ladies there sweet as pie and the interior is so cute! If you're in Nashville I highly recommend checking this place out. I had a lovely time - but I must admit I was a little disappointed in the bag. When the ticket was advertised as "an exclusive Draper James tote" I expected something unique for VIPs, not a bag anyone could buy for $30. I also don't think two tea bags, a small jar of jam , a book and mascara as really being "filled" with products; I expected the bag to have a little more value. VIPs in other cities received a bottle of Woodford Reserve - I'm pretty sure it's TN law that prevented these from being included in the Nashville bags hence why we received another book (the Alabama stop also did not feature whiskey and those VIPs received biscuit mix and bbq sauce). 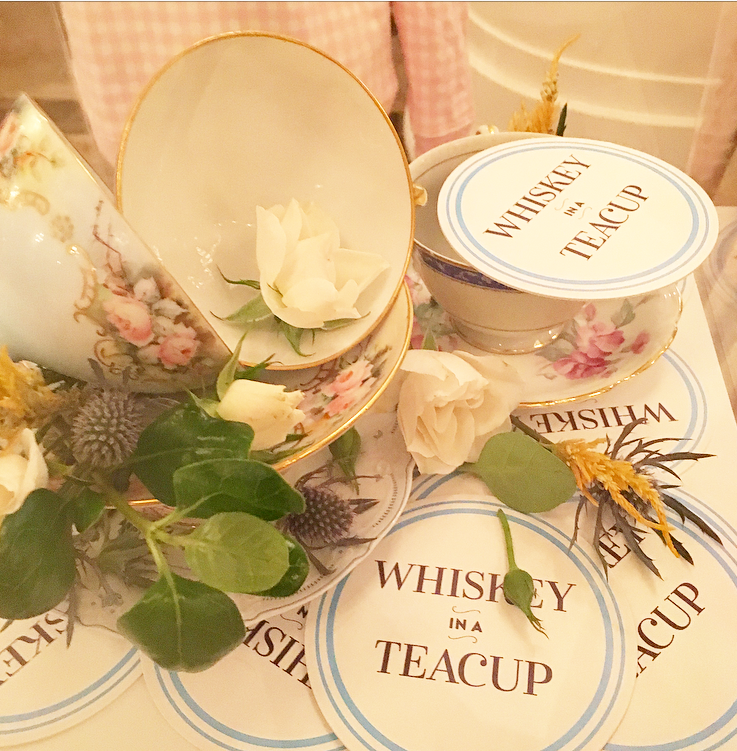 In NYC the cocktails were served in a teacup and I was really sad that wasn't the same for each city because I have a teacup collection and would have loved one from the night as a special memento. 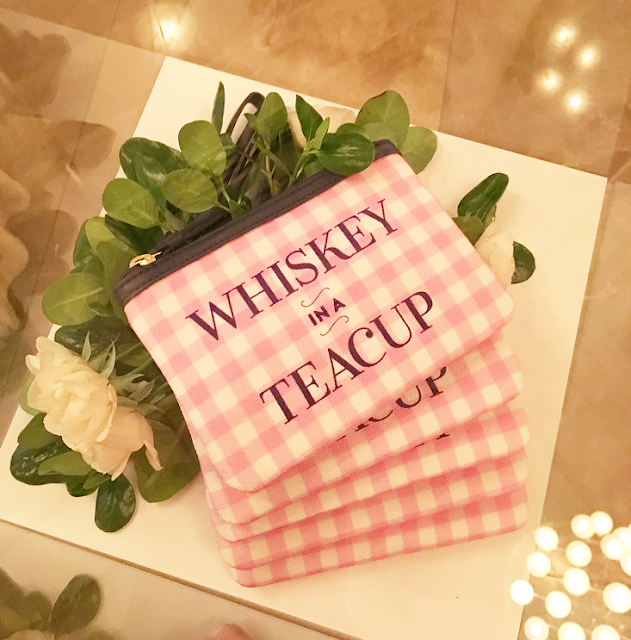 I also think in the days of social media companies need to remember that people will see the experiences of others so I think perhaps the Whiskey in a Teacup tumbler would have been a better gift because that's something VIPs in all cities could have received - but that's just my opinion. Regardless I'm glad I went. It's hard to say if I would have been disappointed in going as a non VIP because I do have a photo with Reese so for all I know I could have been waking up today thinking why oh why didn't I get the VIP but I feel like I would have had a fun time with a regular ticket and I probably would have had an easier time finding a friend to attend with. I talk about price because a. that's my thing but b. because I know you're curious. I had a lot of people at the event make comments on the VIP price and ask me if it was "worth it" so there you have it. Thanks for sharing your experience and being so honest about it. It sounds like, despite some disappointments, you still had an awesome night. It's really awesome that you were able to thank Reese herself for making plus sized clothing, too! OMGsh what a fun experience. I always forget how wicked short Reese is haha. So envious!